When making an IT investment, two considerations are vital in determining the best-fit device: how will it integrate with the infrastructure in place today, and how will it grow with evolving business needs in the future? Fortunately, the Intermec CV61 provides the best solution both today and tomorrow. 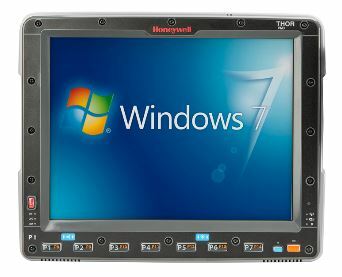 Leveraging the latest operating system and data processing technology, the CV61 allows you to easily convert your current Warehouse Management System (WMS)applications and still have the capacity to implement next-generation applications as your business needs grow.The CV61 is a workhorse among vehicle mount mobile computers. Sped by a powerful 1.8 GHz Intel® Atom processor, the CV61 features a choice of Windows 7 Professional or Windows XP operating systems. In addition, the CV61 offers up to 3GB RAM to support memory-hungry ERP and WMS systems. If you currently have Intermec CV60 vehicle mount computers in use, the CV61 provides the quickest and easiest migration path to replace them. Designed to be compatible with CV60 mounting, cabling, keyboards, trays, scanners and printers, the CV61 saves you money and installation time. The integrated 9-60 VDC power supply lowers your installation costs and provides back-up even when your forklift battery is down. 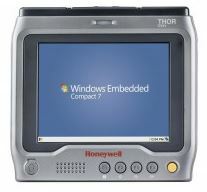 Optional external high-voltage and defroster power converters are available, as well as adapter cables for use with existing CV60 power converters.IT managers will also find the CV61 easy to work with as it supports standard enterprise PC management tools for user administration, security, anti-virus, firewall, group policies and software updates. 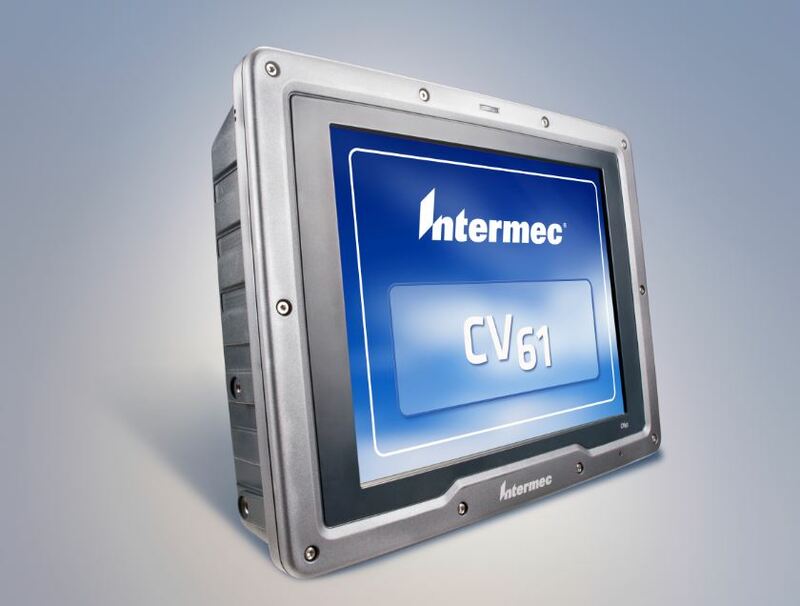 Optional with the CV61, the Intermec Client Pack terminal emulation and industrial browser software provides fast, reliable and secure connection to your WMS. In addition, Intermec developer toolkits save you time in migrating application software in multi-device environments.Workers will find the CV61 comfortable, familiar and easy to master. The sharp, bright 12.1” touch screen display is easy to read in dimly-lit warehouse environments as well as outdoors in sunlight. 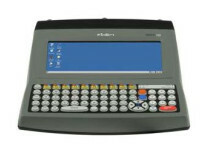 The touch screen and rugged external backlit keyboards are designed for easy data input with gloved hands. In company—extending your choices, simplifying IT support and providing you all the services you’ll need through the life of your computer Intermec investment. The CV61 is designed to integrate with your network security, management systems and your corporate standards. comprehensive network options include 802.11 a/b/g/n with Cisco® CCXv4 certification and integrated EDR 2.1 Class 1.5 Bluetooth® for best-in-class wireless range, roaming reliability and security—even in areas where you might experience low signal levels or intermittent connections. In addition, the CV61 offers the accuracy, productivity, and safety of hands-free voice directed work with Intermec’s Vocollect VoiceCatalyst ™. Built to withstand extreme temperatures, the CV61 operates across -20°C to +50°C (-4°F to +122F°F) and also comes with an optional touch screen defroster for cold storage and freezer environments down to -30C (-22F). Its IP66 rating ensures dust-tight operation and pressure-wash water sealing to preserve the life of your hardware investment, while its user-swappable solid state disk (SSD) storage preserves data integrity even in harsh, high vibration environments. Multiple backlit, 102-key full size and 88-key compact Qwerty keyboard options. Tethered options including USB and PS/2. Optional Bluetooth wireless external keyboard and standalone mounting kit. 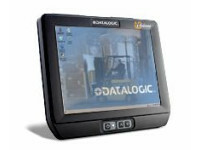 Available with support for VT220, 3270, 5250 terminal emulation.